Welcome to Hoodsport Winery, Producer of Select Premium Washington State Wines. Coupon good for 20% off Coupon Code:hpw20for19 $40.00 min. purchase). Choose from premium wines, gift packs, glasses, coffees, jams & chocolate wine truffles. Gift packs available. Includes 2 punches on wine case card with case purchase. Shop for the latest wine case specials, packaged hand crafted and hand dipped Raspberry Wine Truffles and Try our Great coffee selections. Hoodsport Gold Medal, Olympic Peninsula Roast, Hood Canal Breakfast Blend, and Puget Sound Decaf, Selectively hand roasted by a local coffee roaster for your delight. Discounts on coffee and jam purchases, with a special discount applied to all wine case purchases. Case cards will be punched with each wine case purchase at three punches per case. Our Blueberry and Cranberry Wines are available for ordering. Five Select Gourmet Jams made with Hoodsport's Fruit wines by the Famous Ila's Foods. Hoodsport Winery is experiencing a shortage of their fruit and berry wines. However, The fruit and berry production will resume in 2019. 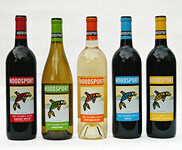 Other wines including grape varietals are available on-line and at Hoodsport Winery, Inc. on a rotating basis. 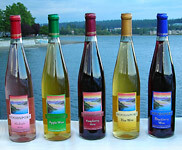 Also, in our beer and wine shop on location, Hoodsport features wines from other WA wineries and cideries. Yahoo website. Gift Shop and Wine Tasting Open Daily 10 am to 6pm.